What do you need for great snowshoeing? Trails, scenery and snow. The Gaylord area has all three, especially the snow. In this feature, we explain why Gaylord is so snowy and tell you the best places to step into a pair of rug beaters in and around this northern Michigan town. 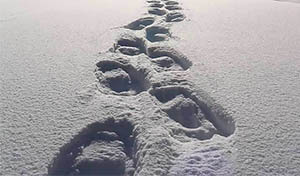 For more on snowshoeing in Gaylord Click Here. The Michigan Department of Natural Resources has announced that it will eliminate dispersed camping at Porcupine Mountains Wilderness State Park, to better protect park resources and help ensure a quality backcountry camping experience. At roughly 60,000 acres, Porcupine Mountains Wilderness State Park is Michigan’s largest state park, home to towering old-growth hemlock-hardwood stands, roaring waterfalls and spectacular sweeping vistas. Annual visitation to the park is estimated to have grown to more than 300,000 people. 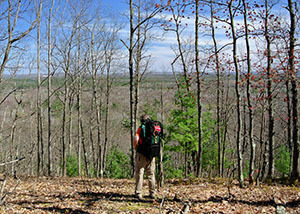 In past years, the 63 backcountry campsites were available on a first-come, first-served basis. Park rangers did not need to limit camping and campers could camp off-trail in a dispersed fashion away from designated campsites. For more on the new regulations Click Here. Following the ridges to Red Hill. Mountaintop camping — even in Michigan it’s possible. Allegan State Game Area is best done during the off-season—either in early May when fiddleheads are popping through the forest floor and the flowering dogwood is in full bloom, or in the fall, when one can witness one of the largest migratory gatherings of waterfowl in the state. 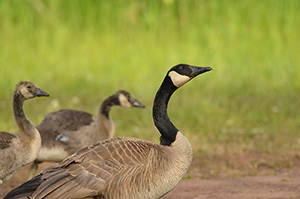 The state game area is a 50,000-acre wildlife preserve that’s managed primarily for waterfowl, and during the fall migration, 75,000 to 100,000 Canada geese alone stop in the game area to rest for a week or two before continuing their flight south. But spread across the game area are almost 30 miles of foot trails with the heart of the system centered around Swan Creek and separated by the 118th Avenue dam. That makes for some honking good hiking: Click Here.